The latest game in the Adventure Time game series, Pirates of the Enchiridion, has our heroes, Finn and Jake, traversing the Land of Ooo after it has been flooded. I was able to sit in on a presentation and have a loot at what the game will have in store for the future. The game starts off with the Land of Ooo flooding. Finn and Jake have just woken up from passing out after a night of star gazing, and they are trying to figure out why everything is submerged underwater. The dynamic duo have an idea of what might be up, so they decide to give the Ice King a visit. Only problem is that they will need a bigger, boat, and there just happens to conveniently be one right next to them. As the two traversed through the ocean, there were a few things floating around the surface, and Jake was able to morph his hand in order to pick those items up. From what I saw, those items came in the form of health and money. It was then revealed that there would be two other members to add to your party: BMO and Marceline. Also there is expected to be over 14+ hours of content for users to enjoy along with 30 minutes of fully rendered cutscenes. As we traveled along the new open world of the flooded Ooo, Finn and Jake started to sing sea shanties. What was neat about this is that they were created to remind the player about what they should be doing rather than have a popup to remind the player. It was very much in character, and it added to the singing that is done in Adventure Time at the same time. Once we got to the Ice King’s lair, we were able to move around and break parts of the environment. There was a chance we could find some items, and we got a couple more health potions along with some more money. Once inside the lair, we confronted the Ice King, who no longer had his crown and was upset about something. In order to figure out what happened, Finn and Jake decide to interrogate the Ice King with a good cop bad cop routine. This interrogation turned into a mini game, and apparently, there would be multiple instances of this being used throughout the game. The game consists of an arrow spinning across one of four good cop bad cop choices, and you have to figure out which one to use in order to pry information out from the character. In the first interrogations scene, Finn and Jake decide to try just going bad cop since the Ice King is hysterical. We found out that instead of freezing things, he ended up melting ice instead, and he kept accidentally melting things until most of Ooo was flooded. He was so upset that he threw his crown into the new ocean, which was a terrible idea in hindsight. After the successful interrogation, we were rewarded with a lot of money and health items. However, there is a way to fail the interrogations. If you mess up 3 times, then the interrogation will be over, and you will not be rewarded. You will still be able to progress, but it would be a little more difficult to do so now. After leaving the lair, the Ice King said he found a magical sword, and he gave it to Finn and Jake. After this, we set out on the ocean again, but unfortunately, that was all the time we had for the demo. Throughout the demo, there are plenty of witty jokes and clever, funny bits of dialogue that the show has come to be acclaimed for. If you are a fan of the series, and also like light RPG elements, then this game will be right up your alley. 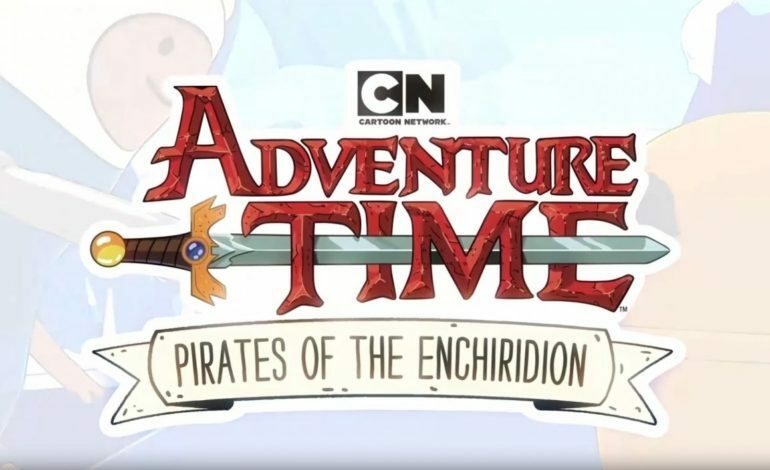 Adventure Time: Pirates of the Enchiridion is due out July 17 of this year for the Nintendo Switch, Xbox One, PlayStation 4, and the PC.